Recently I was given the opportunity to review the Project B box over 3 months! Project B is a company that provides a monthly pregnancy box for expectant mums. 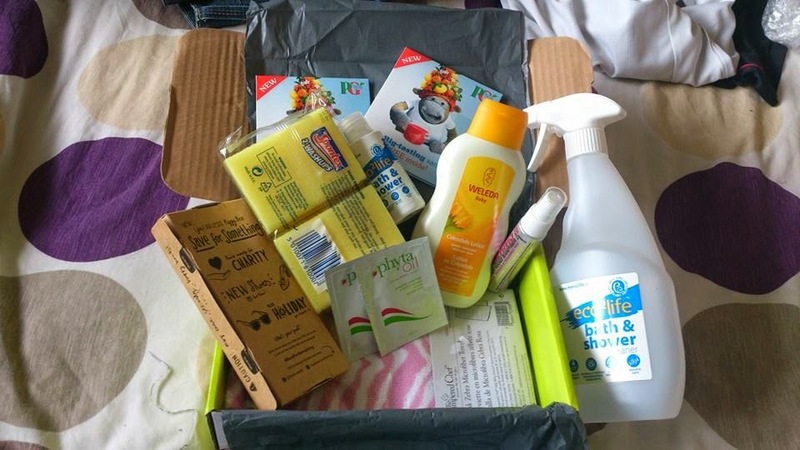 The box is sent out monthly from 12 weeks pregnant right up til week 40 and contains lots of exciting products for you to try out during your pregnancy. Each box contains a range of products relevant to your stage of pregnancy as well as some helpful information cards which contain useful information again tailored to your stage in pregnancy. 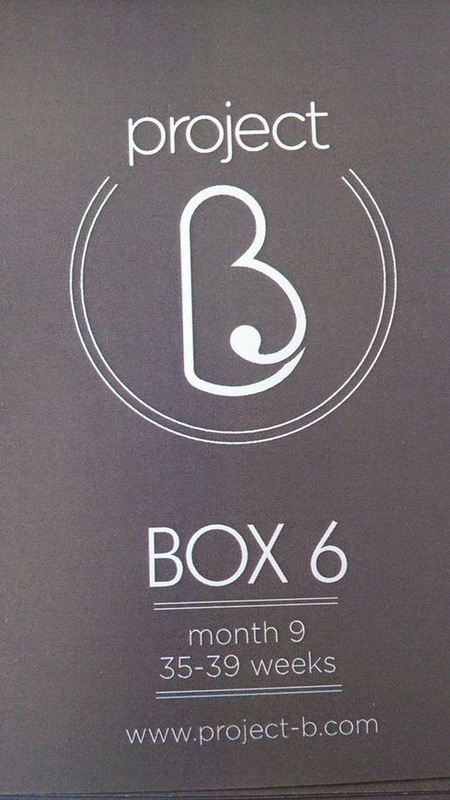 This month we reviewed box 6 which is aimed at people 35-39 weeks pregnant. After receiving our first box last month (and loving it!) I was really excited to receive this one and find out what was inside and I was not disappointed! This is a great cleaning spray for the bathroom and it has a lovely fresh fragrance that really sticks around. 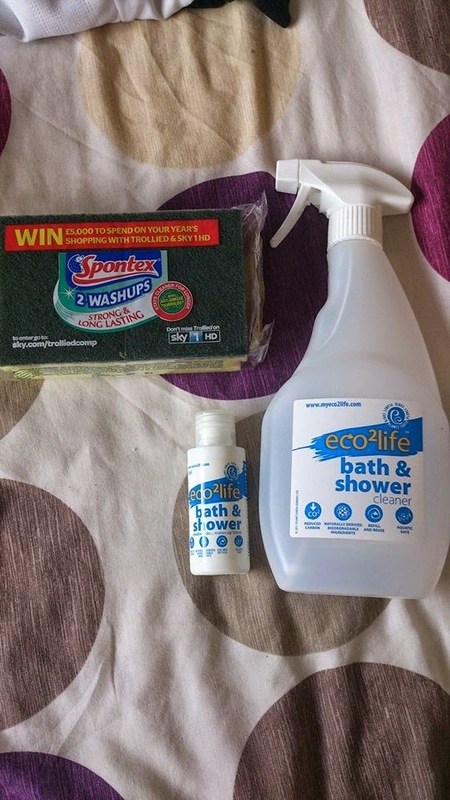 It was easy to use as it comes with a handy spray bottle and really left the bathroom smelling lovely and gleaming! Including the sponges to the box was a great little addition and definitely satisfied my nesting instinct lol! 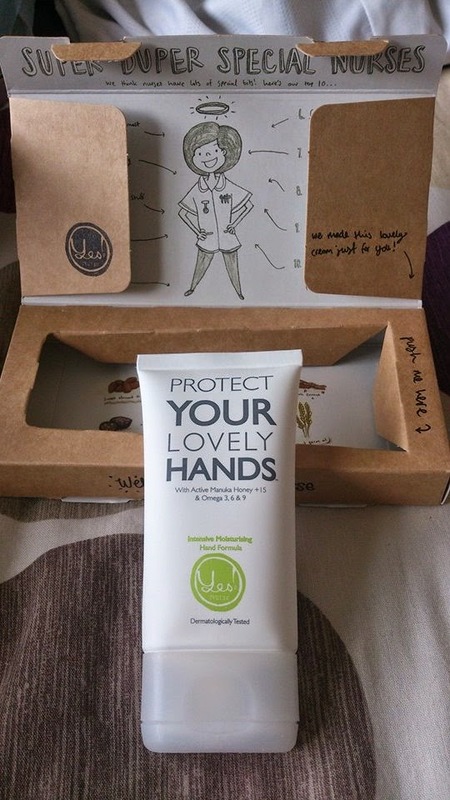 I was really happy to see this is my box I've seen it a few times in stores such as Superdrug and Tesco but never got round to picking any up. 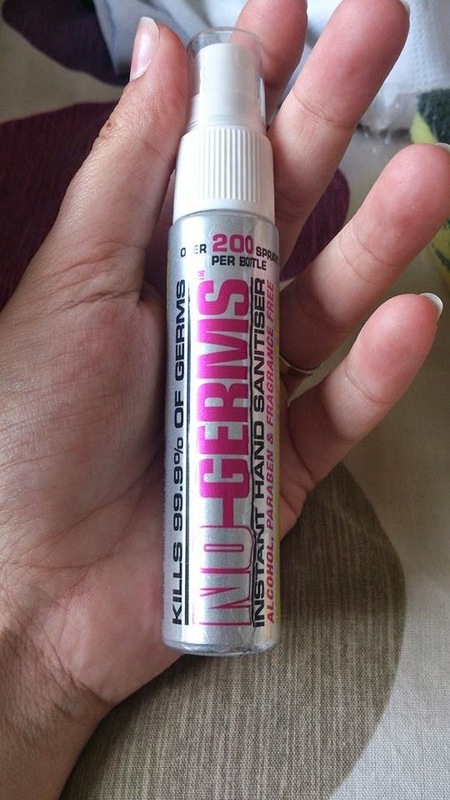 I tried it out and it was great I was worried it would leave my hands sticky but it didn't at all! 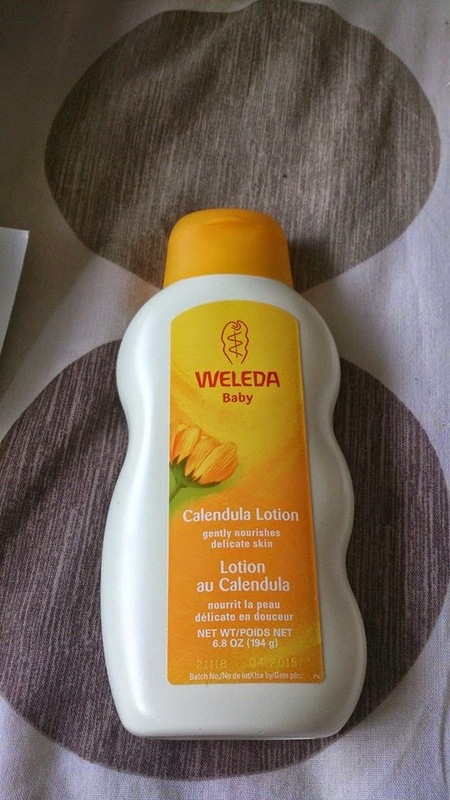 I popped this into my hospital bag it and came in handy when on the ward after having my little peanut. 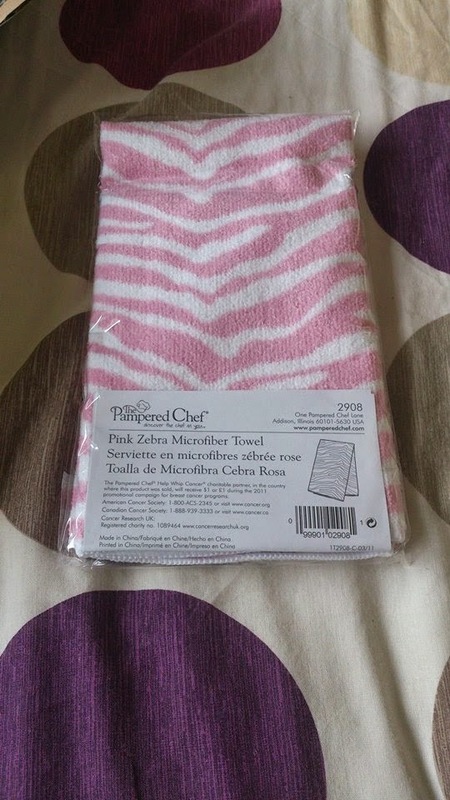 This is a lovely addition to the box and it is so soft! The colour was perfect as I had a little girl and it was great to use to wipe up her first milky dribbles as it was so soft against her delicate skin! Im sure this will get many uses as time goes on. I don't usually like to see samples in subscription boxes but the contents of the project B boxes really is worth far more than the £14 that you pay per month and so seeing a sample or 2 inside really doesn't bother me and it was nice to be able to try it out. 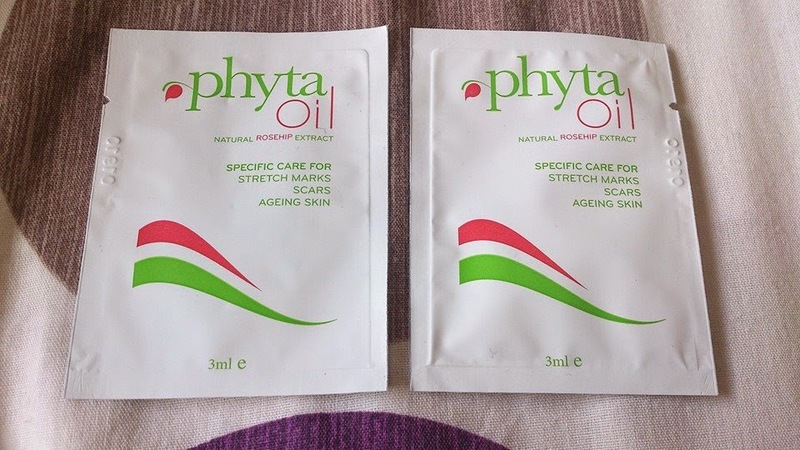 I think my stretch marks are beyond treatment after 2 babies and think maybe these would be suited to a slightly earlier stage box. Saying that it was still nice to be able to try out a product I may have otherwise not have tried! 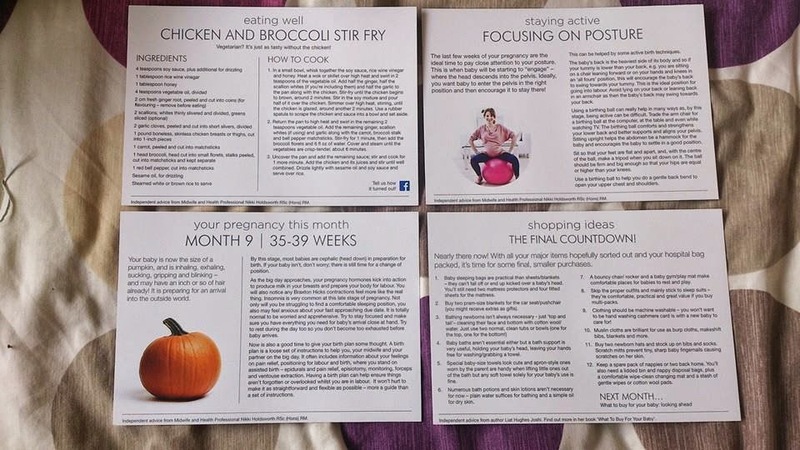 As well as all the great products the box also came with the usual 4 helpful cards with recipe ideas and helpful tips for your stage of pregnancy. I love the addition of these cards to the box as they are really interesting to read and they provide some really helpful tips and information! Overall I have really liked this box. 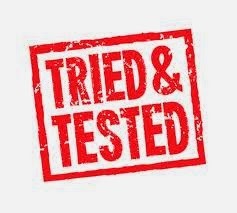 The products have all been useful and it has given me the opportunity to try out new brands I wouldn't have brought before. I really look forward to receiving the box at the beginning of the month and finding out what goodies are inside each time. Project B boxes are priced at just £14 a month! The products within the box are always worth much more and it really is great to have something to look forward to each month that is just for you! or find them on Facebook here..
Have you tried the Project B box for yourself? Let me know what you think below! * I was not paid for this review. All opinions given are my own.. As a thank you I was allowed to keep the product. Great idea these sort of boxes are catching on.I hope you liked all the stuff in your box you received. I keep hearing about this subscription box it's amazing that they do for expectant mothers. Looks like a useful box for mums I must say. This is a lovely box. I read boxes description on their web and they are so clever with picking the products which go into them. That sounds like a great price and some really lovely products. I would love this - it would feel like a box of presents arriving every month!